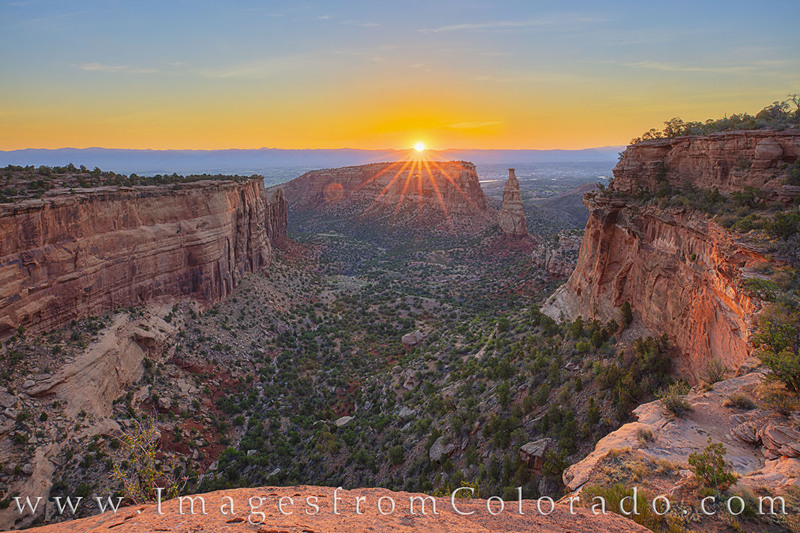 The light of sunrise spreads through the canyon in this morning photograph showing Independence Monument in Colorado National Monument. This national park just west of Grand Junction offers amazing canyon views. The main road, Rim Rock Road, winds along the canyon edges, offering spectacular views at every bend.